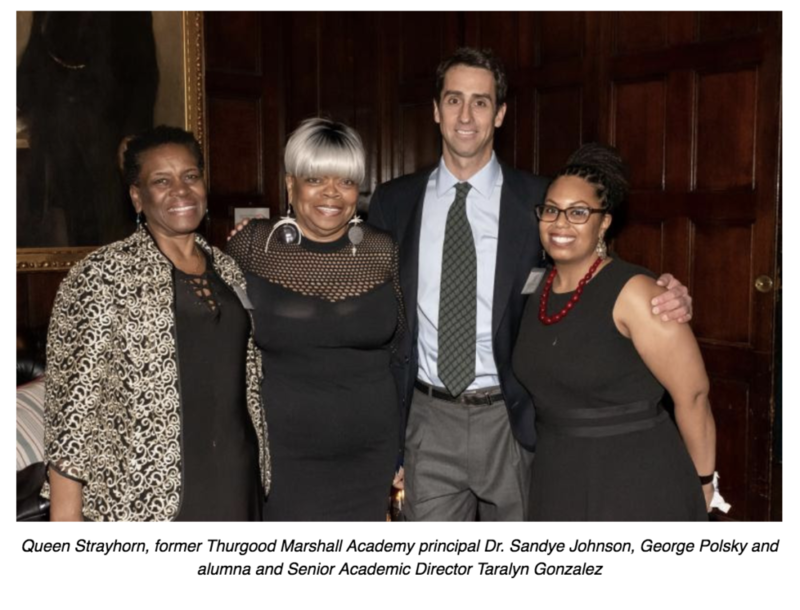 On Wednesday, January 16th, over 600 students, alumni, staff, board members, volunteers and supporters joined us to celebrate StreetSquash’s 20th Anniversary at the Harvard Club of New York. 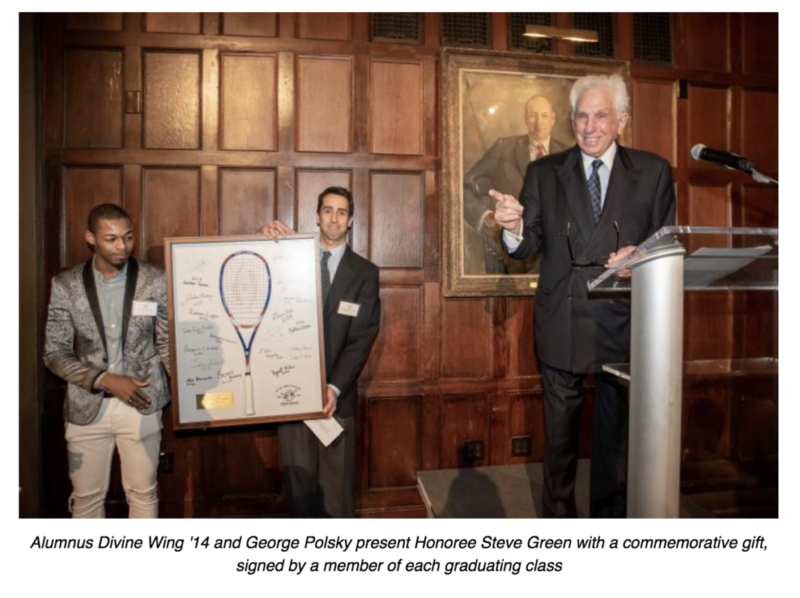 The event boasted appetizers and desserts from famed chef Peter Callahan, a commemorative video reflecting on StreetSquash’s development over the years, and remarks from Honoree Stephen L. Green, Founder & Executive Director George Polsky, and alumni Taralyn Gonzalez ’05 and Divine Wing ’14. The evening brought together two decades of supporters from within the StreetSquash community. Greg Zaff and Tim Wyant, the leaders of SquashBusters and the Squash and Education Alliance, respectively, rallied for StreetSquash alongside former board chairs Jeff Laikind, Mitch Truwit, and Geoff Mitchell, squash professionals James Willstrop and Adrian Grant, and members of the first class of StreetSquash graduates, Raymond Flowers, Justin Martin, and Davian Suckoo. The evening would not have been possible without the commitment of our event co-chairs, Sara & Charlie Ayres, Jodie & Andrew Fink, Lydia & Eric Muller, Rochelle Yu & David Eun, our leadership committees, patrons, sponsors, and our honoree, Stephen L. Green. We are grateful for your support of StreetSquash. Read about the 20th Anniversary on Bloomberg here and watch our feature video celebrating 20 years here!